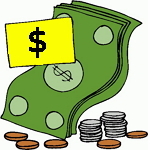 At the Putnam Saturday Farmers' Market, in 2019, we accept several forms of payment. In addition, there are several government programs that can be used at farmers' markets. On this page, we summarize the several options. Stop by the Market Manager's table if you have any questions. All of our vendors accept cash and some may accept personal checks or other payment options--be sure to check with the individual farmer or artisan. 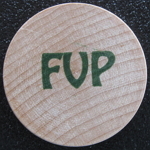 If you are short of cash, you can use your debit card to purchase wooden tokens in $5 increments. These tokens are accepted by all vendors and may be used for both food and non-food items. These tokens are just like cash--you can get change from them. 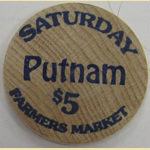 These tokens are only good at the Putnam Saturday Farmers' Market and do not need to be spent during the same day. You can bring any tokens you have remaining to a later PSFM market the same year and use them. 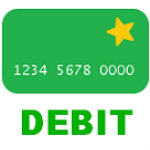 This year, the PSFM can only accept debit cards and not credit cards. 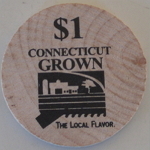 If you have a SNAP/EBT benefit card, you can purchase wooden tokens in $1 increments. These tokens can only be used to purchase those edible items allowed by the SNAP regulations. (They could not be used, for example, to purchase items from our artisans.) Also, you cannot receive change for using these tokens, per SNAP regulations. 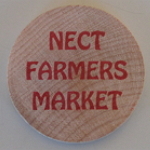 These tokens are only good at the Putnam Saturday Farmers' Market and do not need to be spent during the same day. You can bring any tokens you have remaining to a later PSFM market and use them. 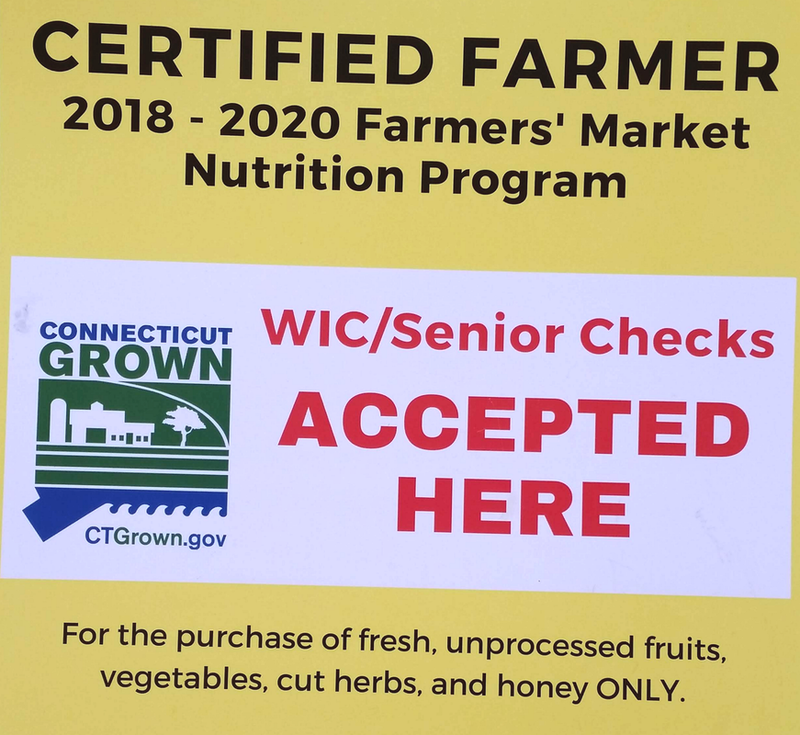 FMNP is a USDA program, locally administered by the Connecticut Department of Agriculture, that distributes vouchers for eligible seniors (S/FMNP) and WIC recipients (WIC/FMNP). Starting in 2014, CT DoAg will be introducing the Veterans FMNP (VFMNP), as well. Look for the "CERTIFIED FARMER" sign at vendors' tables to use your vouchers with them. These may only be used to purchase the items listed on voucher, typically only fruits and vegetables. Nearly all farmers offering those items at our Market accept them. 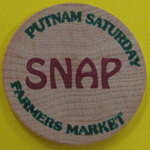 The Putnam Saturday Farmers' Market cannot accept tokens from other markets and past programs. There may be a few farmers that are willing to accept tokens from other markets because they participate in those markets--you need to check with those farmers individually. Also, certain programs are no longer available at the Putnam Saturday Farmers' Market--the Wholesome Wave Double Value Coupon Program, to name one. These are examples of other market tokens and tokens from prior programs that are not accepted at our Market.